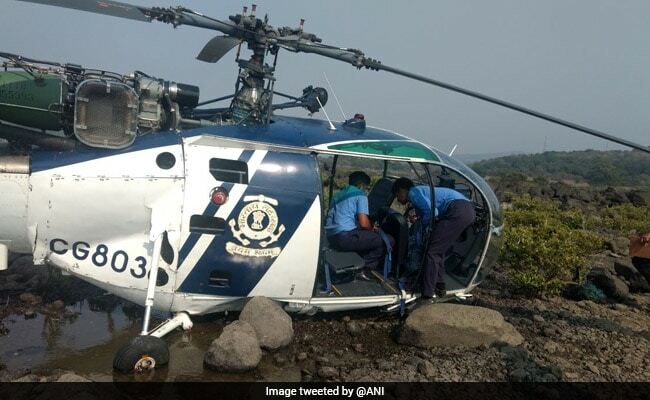 Raigad Indian Chopper Crash: The crew members sustained minor injuries. The crash was reported in Murud this afternoon. A coastguard helicopter made an emergency landing in Murud in Raigad district of Maharashtra this afternoon. The chopper had four crew members on board. "An Indian Coast Guard Helicopter CG 803 that took off from Mumbai for routine surveillance sortie with four crew members made an emergency landing near Nandgaon Beach, Murud," Avinandan Mitra, deputy commandant and PRO for Indian Coast Guard (West), said in a statement. "Preliminary report intimates that the crew experienced technical difficulties 25 minutes after taking off. The crew managed to land the helicopter avoiding populated places and sea," it added. According to the statement, the pilot- Deputy Commandant Balwinder Singh- managed to land the helicopter by avoiding populated places and the sea. Assistant Commandant Penny Choudhary received some injury in the incident, but nobody else was injured. All were taken to the naval hospital 'Asvini' at Mumbai for treatment and medical checkup. Other two members were identified as Pradhan Navik (P/Nvk) Sandeep Singh and Navik (Nvk) Baljeet Singh and the statement mentioned that all four were evacuated by the Navy and the Air Force. 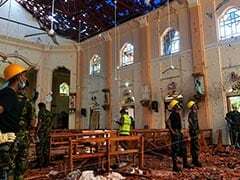 Asked about the damage to the helicopter, a senior ICG official was quoted as saying by news agency PTI, "The rotors of the chopper and its machinery are intact. The tail rotor is slightly bent. Except the right wheel area, no part has broken off. We need to carry out a thorough inspection." He said that the chopper is most likely to be airlifted from the site. The ICG statement lauded pilot Balwinder Singh for his presence of mind and "special skills" in avoiding the landing of the helicopter in crowded places and the sea.